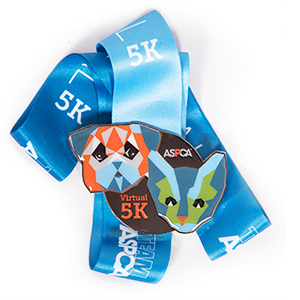 Over the Holidays, we will be participating in the ASPCA Virtual 5K! We are excited to be participating and honored to be raising the awareness and the much needed funding to support the ASPCA's programs. Your donation will help the ASPCA provide life-saving programs and services to millions of animals nationwide. The ASPCA is very important to us and we appreciate your help as we fight to give abused and homeless animals a second chance at life. Please support us (and Madison) by making a donation and help us make a positive impact in the lives of animals! In the last 4 years, we have lost two very important members of our Fur-Family. We've also had two additions to our Fur-Family. Those lost, those still present.... All RESCUES!!! Cooper (lost in 2013) was amazing. He taught us Love. He taught us Preserverance. He taught us Strength. He taught us Acceptance. He was amazing. Our sudden loss of Cooper is forever ingrained in our hearts! Petey (lost in 2017) was and forever will be, the family "baby." He taught us Innocence. He taught us Curiousity. He taught us Playfulness. He taught us Joy. His Smile is unforgettable!!! Madison (Our Good Citizen) is our "love child." Nine months to the day from our wedding, we welcomed...Ms. Sassie Molassie! Tired of being asked when we'd have a child, we welcomed Madison into our lives exactly 9 months after being married. Who knew that we could concieve a Black_Mouth_Cur?!?! Murphy. Welcomed into our home as "Maverick." Upon meeting him, he was anything but a Maverick. He was more of a Murphy (or as we call him...Moofa). He was broken, abused, scared, loving, caring and most of all...INNOCENT, and in need of LOVE! Madison went from a doting little sister to Petey and Cooper to the mature, leader of the pack to Murphy. Dogs, like children, have no voice. We are their voice and by supporting organizations like ASPCA, we provide them a voice. Please help us raise money for ASPCA this year (and don't forget Corporate donation matching, if you haven't used it for the year). We've kicked off the donations with $500 from us and another $300 (in matching) from Oracle.